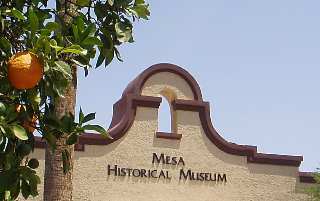 When the weather is hot outside take a break from the heat and discover some Mesa museums! 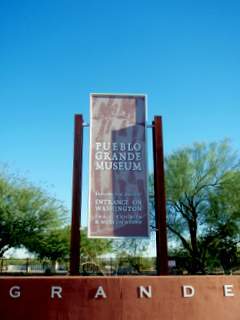 Most of these museums are inside nice comfortable buildings in Mesa, and all around the SE Valley. There are some remarkable collections in nearby cities of the SE Valley too such as Gilbert and Apache Junction and Phoenix. For example, check out the museum in Apache Junction that has the Elvis church. Do you like to look at new things? Like surprises? A museum will inspire kids (including big kids) to roam and explore. Check out the Mesa Southwest Museum for the coolest exhibit of dinosaurs in the west! See a raging flash flood with lightning and thunder! Some museums are old and some are new. Some have old things like dinosaurs and some have modern art. See the latest in modern art at the Mesa Contemporary Arts at the Mesa Arts Center in downtown Mesa. 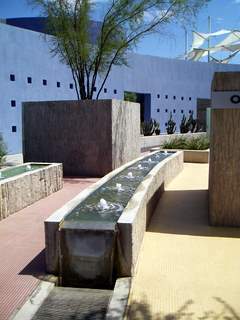 Wander around the grounds and look at the lush water features that draw you into the building. Interested in history and WWII aircraft? The Commemorative Air Force Museum has two large buildings full of planes. What makes this Mesa museum so interesting is that many of these vintage aircraft still fly! There was one being brought back to life on the tarmac in front of the hanger. Here's a Mesa Museum that is just for kids! Do you have children that are interested in art? If they are toddlers to 12 years old and like art check out the Arizona Museum for Youth. Now renamed i.d.e.a Museum. How about a Mesa Museum focused in local history? 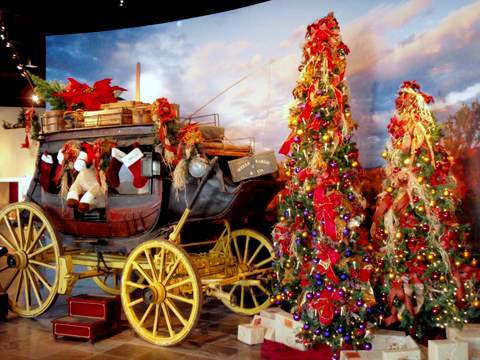 Go to the Mesa Historical Museum and discover the recent history of the southeast valley. Did you know there is a SE Valley museum dedicated to the lore and history around the Superstition Mountains? Did you know Elvis made a movie in the chapel on the lot of this museum? Did you also know there are maps to the Lost Dutchman Mine? Then check out the Superstition Mountain Lost Dutchman Museum in Apache Junction. This is close to Arizona's Lost Dutchman State Park. 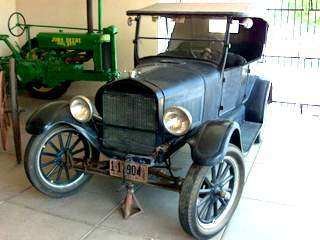 How about a museum in downtown Gilbert where you can look at a REO Speedwagon? Discover why Gilbert was the "World Hay Capitol," and the story of how Gilbert got its name? Check out the Gilbert Historical Museum and find out the stories! Interested in Science? 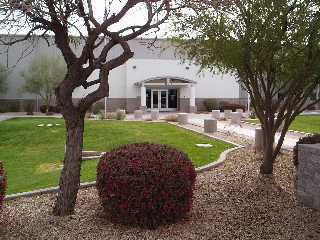 The Arizona Science Center is a place that is open all year long. You can go in the heat of a summer or the cold of winter and take the whole family! And play with all the cool stuff! There is always fun stuff at the Arizona Science Center. Have a secret? Whisper in the acoustic dish and if you are in the right spot you can hear at the other end of the courtyard. The dish was gone the last time we were there but there are always new things to discover. And they are right off the metro rail! Like Art? 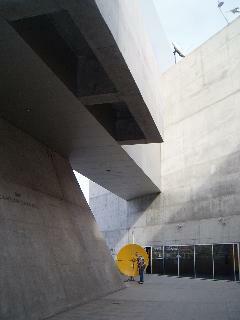 Check out the Phoenix Art Museum. It is right off a Metro Link Station. How about the really well done bank museum at the Wells Fargo Building? This is a fantastic museum in downtown with fabulous art, history, and things to do. And did I mention, last time I checked The Wells Fargo History Museum was free! 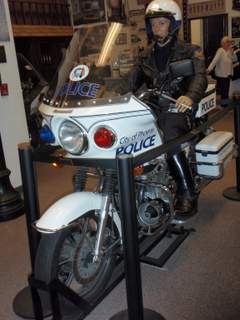 Then there's the Phoenix Police Museum. It's also right off the metro rail line. Also free the last time I was there.